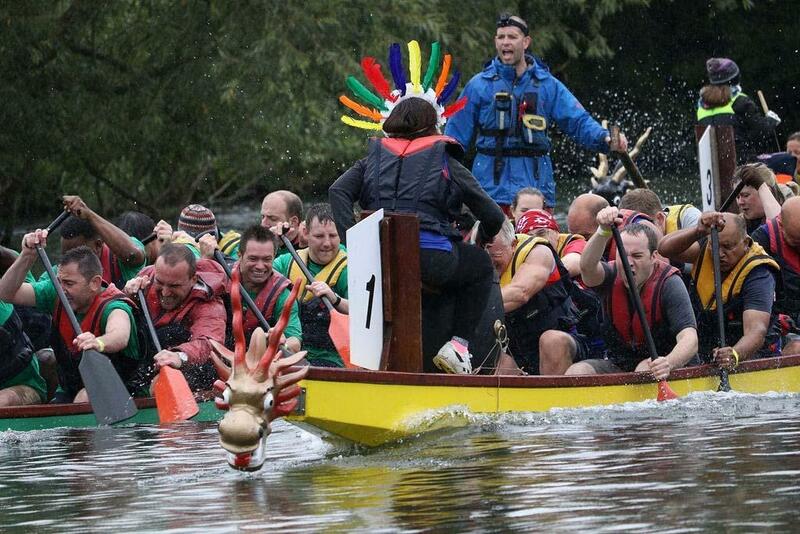 The Rotary Dragon Boat Festival is a well-established annual event organised by The Rotary Club of Abingdon Vesper. A Gala Day by the River Thames in Abingdon in aid of numerous charities. Fun for all the family both on and off the water! A truly wonderful Family Day Out for all. 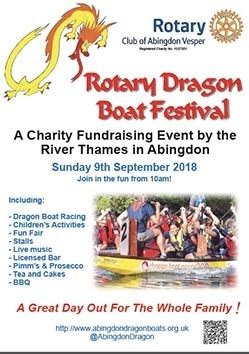 Organised by the Rotary Club of Abingdon Vesper with a little help from their Thames Valley Rotary friends.